Per Bloland recently composed a chamber opera entitled "Pedr Solis." Per Bloland is the recipient of the 2015 Junior Faculty Distinguished Scholar Award. The award honors Miami faculty who have demonstrated great potential in research or artistry and have achieved significant standing in their fields. 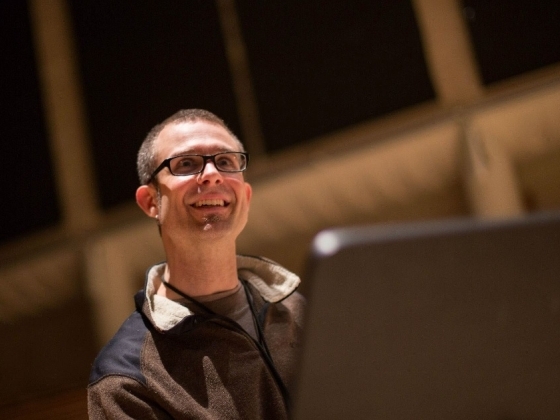 Bloland is Assistant Professor of Technology and Music Theory at Miami University. As a composer of acoustic and electroacoustic music, he has received numerous awards and recognition from national and international organizations for his compositions. His works range from short intimate solo pieces, to works for large orchestra that incorporate video, dance, and custom built electronics, and often draw on a variety of other art forms. Bloland recently released his first portrait CD, titled Chamber Industrial, on John Zorn's label Tzadik. It contains five of his compositions, all of which were performed by the Boston/New York based Ecce Ensemble. The Junior Faculty Distinguished Scholar award will be presented to Bloland at the September 2015 meeting of Faculty Assembly, where he will receive a plaque in honor for his achievement and a $2,000 stipend.